As interim Managing Director for UCLPartners and Managing Director of UCLPartners Academic Health Science Network, Charlie is driving healthcare improvement and innovation through partnership for the benefit of the six million people served by our partners. Charlie is a practising Consultant Neurologist at the Royal Free London NHS Foundation Trust, an honorary senior lecturer at UCL’s Institute of Neurology, and has guest lectured at Harvard Business School on value-based healthcare delivery. 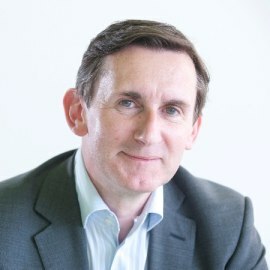 Charlie has held a number of national advisory roles, most recently as a member of the Accelerated Access Review Implementation Group working with the Office of Life Sciences and NHS England, and he represents London’s AHSNs as a member of the London Clinical Senate. Charlie was the stroke lead for the reconfiguration and establishment of hyper acute stoke units in London. UCLPartners is a leading academic health science partnership that brings together people and organisations to transform the health and wellbeing of the population. Working in partnership and at pace, its members from the NHS and higher education support the healthcare system serving over six million people in parts of London, Hertfordshire, Bedfordshire and Essex. UCLPartners hosts the highly successful NHS Innovation Accelerator and jointly leads DigitalHealth.London - programmes that support the introduction of high impact innovations into health and social care.